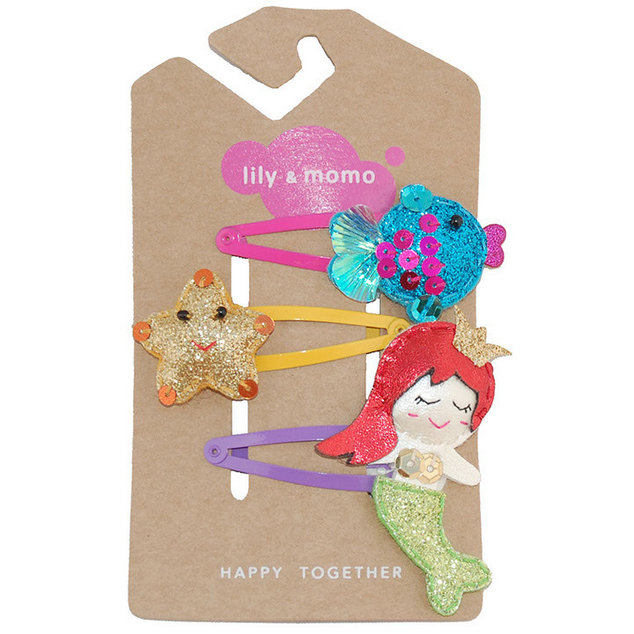 Mermaid, fishie and starfish trio in ocean and sunset hues. Shiny fish: 1.25" * 1.25". Mermaid: 2.25" tall * 1.5" wide - hair to arm.